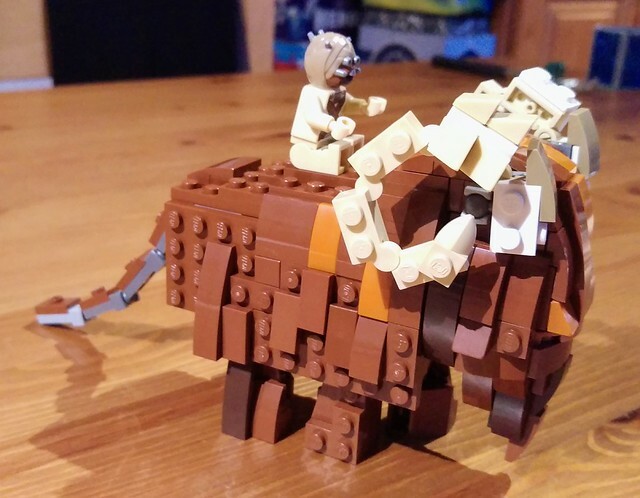 I've been somewhat inspired by the Dewback from the latest Star Wars Microfighters. It's not perfect, but I still like the brick built design a lot more than the single piece one that came with the previous version of the cantina. Inspired by this, I decided to have a go a brick building another creature. 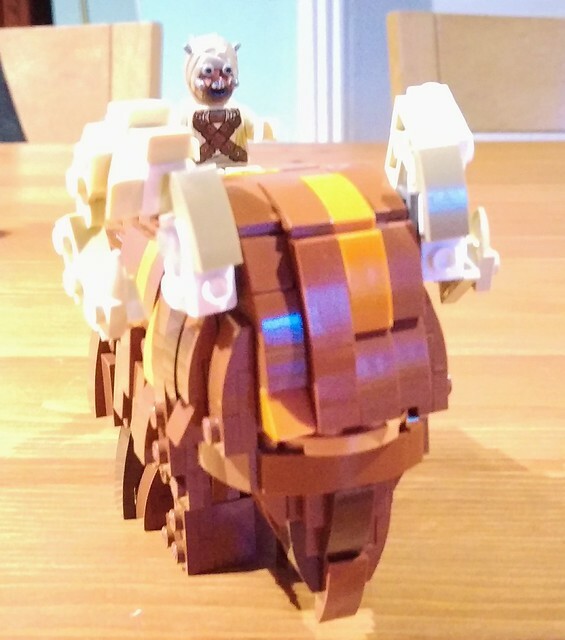 It's a Bantha from Star Wars (A New Hope). It's currently a rough sketch build. 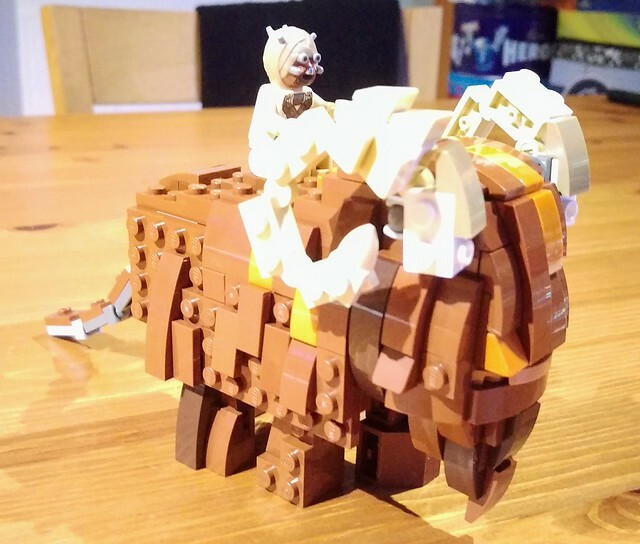 I plan to add a lot more fur (mainly using curved slopes), and a saddle for the Sand Person, and bulk up the tail and the horns. I need to Bricklink some parts to finish it off.